Dhaka, Dec 4 (Just News): The Appellate Division of the Supreme Court on Monday directed Jatiya Party Member of Parliament Md Sawkat Chowdhure to pay Tk 50 million to Bangladesh Commerce Bank Ltd (BCBL) within 60 days in connection with two loan scam cases. If Sawkat does not pay the amount within 60 days after receiving the order, his bail in the relevant loan scam cases will be cancelled, said Khurshid Alam Khan, lawyer of Anti-Corruption Commission. 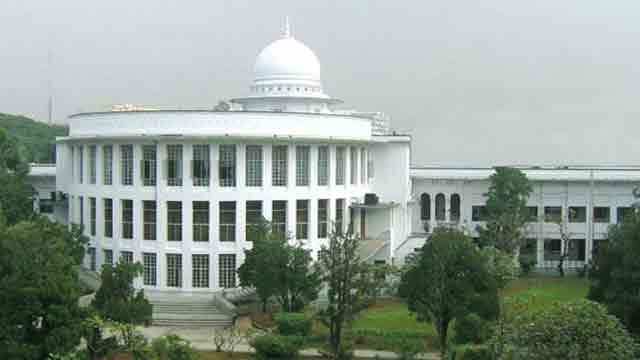 Earlier on 22 October, the HC bench of justice M Enayetur Rahim and justice Shahidul Karim directed MP Sawkat to pay Tk 250 million to BCBL within 50 days in connection with the cases. On 8 and 10 May, 2016, the Anti-Corruption Commission filed two cases with Bangshal police station against Sawkat Chowdhure, MP from Nilphamari-4, Md Asaduzzaman, the then managing director of BCBL, Habibul Gani, the then manager of BCBL Bangshal branch and six others. The case statements say Sawkat, also managing director of M/S Jamuna Agro Chemical Ltd, allegedly misappropriated Tk 940 million from the branch in collusion with the other accused through 37 letters of credit between December 2012 and March 2015. Sawkat secured bail from the lower court on 8 September and 4 October last year.